String Quartet in South West UK for your wedding day. The Rosewood String Quartet is perfect for your South West UK wedding. Rosewood String Quartet love playing at weddings and creating the perfect mood for you. They are four musicians who are passionate about music and thoroughly enjoy their part in making each booking a really special one. Rosewood String Quartet brings a very professional and friendly enthusiasm to every event that they partake in. Based in Devon they are one of South West England’s most sought after string quartets, providing musical entertainment for all occasions throughout Devon, Cornwall and Somerset and further afield. 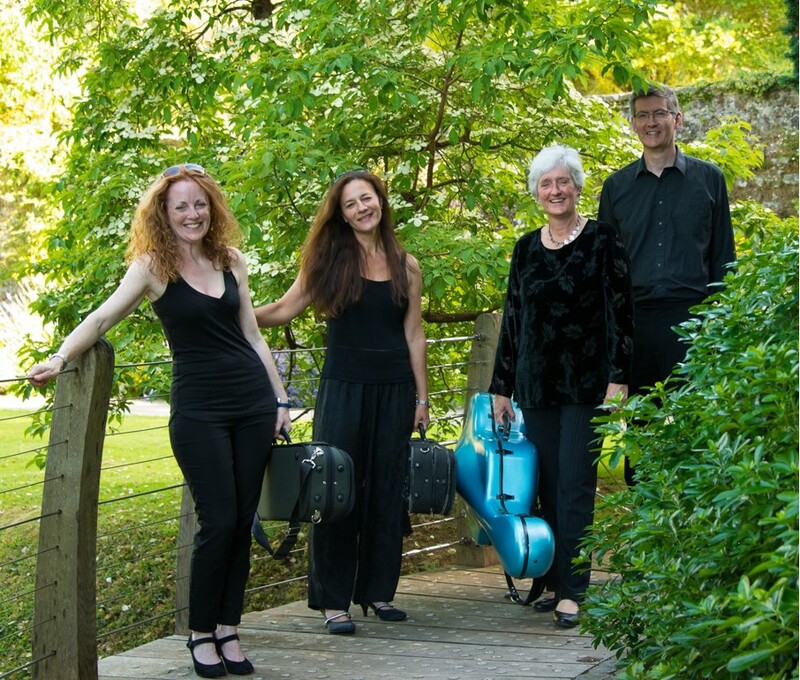 Rosewood String Quartet specialise in classical and light classical music for wedding ceremonies and receptions, civil partnerships, corporate events and other functions. They also have a large repertoire of modern songs. With the utmost professionalism this very experienced string quartet, comprising 2 violins, viola and ‘cello, will bring a touch of magic to your event. Rosewood String Quartet’s wonderfully broad repertoire ranges from Haydn and Mozart to the lighter end of the musical spectrum. For the music that you would like Rosewood String Quartet to play click here.